To round out my birthday giveaways, I am happy to bring you guys another Persunmall giveaway! 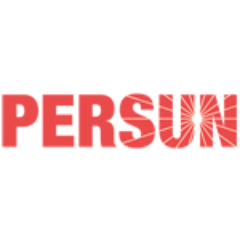 Persunmall is a global website online shopping store offering fashion-forward clothing (tops&bottoms), jewelries, accessories, shoes, and bags for the high street in the blink of an eye. We focus on the field of women's fashion... and our mission is to constantly provide our customers with the latest fashionable products. One item of clothing from 9 choices! All you have to do is follow the steps lined out in the Rafflecopter widget below. Please be sure to do ALL mandatory entries as each entry will be checked and verified. One randomly-selected winner will receive a $100 gift card -- that lucky winner might be you! It will end on Monday, July 15th at 12:00am PST. - They will choose one winner for every 60 participants... which means the more participants, the more winners! - Winners will be announced on Persunmall's Official Page and Facebook page on July 19th. The Persunmall team will contact the winners via email. Lastly, you can save 20% off orders of over $60 by using the code PERSUN20%OFF.